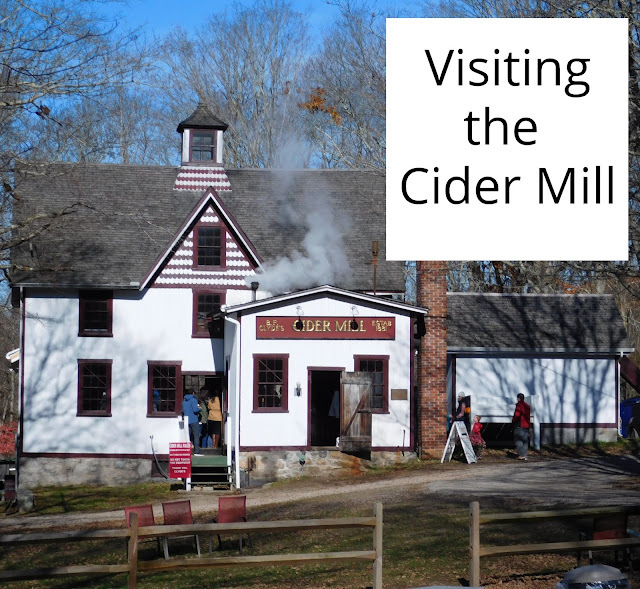 I had only ever heard of Clyde's Cider Mill this year and knew I wanted to get there with my boys this fall. It was starting to look like that would never happen but we finally had a day where the weather was nice and sunny and warm and we had the time to take the trip. We arrived just in time for a cider making demonstration too. We got a real kick out of seeing all the old machinery at work. The pulley system reminded us so much of the Slater mill we toured earlier this year. .
We watched them fill up the cloth with apple mash (a truck delivers apple to the building). The mash comes down the long shoot and is controlled by the levers above the man's head. They already had the whole first side done and it was slowly being pressed in this large machine. They stack a good three layers of mash together using wooden slats between each layer. They swing the whole table! And begin adding pressure to the mash side to squeeze out all the juices. While they begin clearing up the pieces of mash that are left from the other side. Clyde's has been making cider since 1881 and is the last steam powered cider mill in the United States! The machinery we saw at work had been purchased in 1898. It was so neat to history at work. After the demonstration we wandered into their store. They are known for their hard ciders and we saw many varieties as well as all sorts of delicious food stuffs, fresh honey, and of course fresh apple cider. We ordered a 1/2 dozen cider donuts and headed over to Old Mistick Village for lunch at The Steak Loft. It really was a wonderful way to spend a fall day in Connecticut! Love it. You find so many wonderful opportunities. Thank you! I am always on the lookout for new things to do with the boys. What fun! Looks like a very interesting tour, and autumn in Connecticut would be lovely! It really was so neat to see all these old machines still in use! That was interesting! I bet the cider was amazing! I'm making a mental note, since this isn't too far a drive for me. Happy New Year! There's so much to see and do in that part of town too! 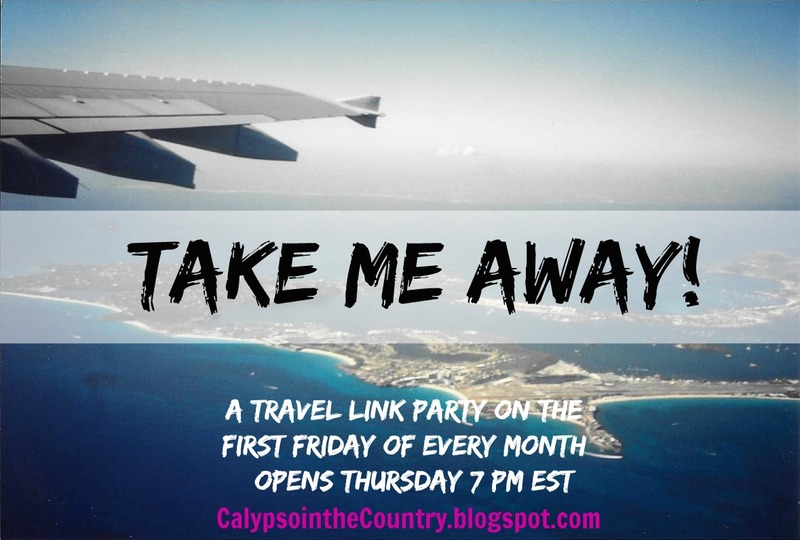 It would make a great little day trip or even a weekend getaway.